Most veterans pay an insurance premium called the VA Funding Fee (see exception below) as a part of their VA home loan. This fee allows the VA to continue insuring VA home loans. The Funding Fee charged depends upon several factors. 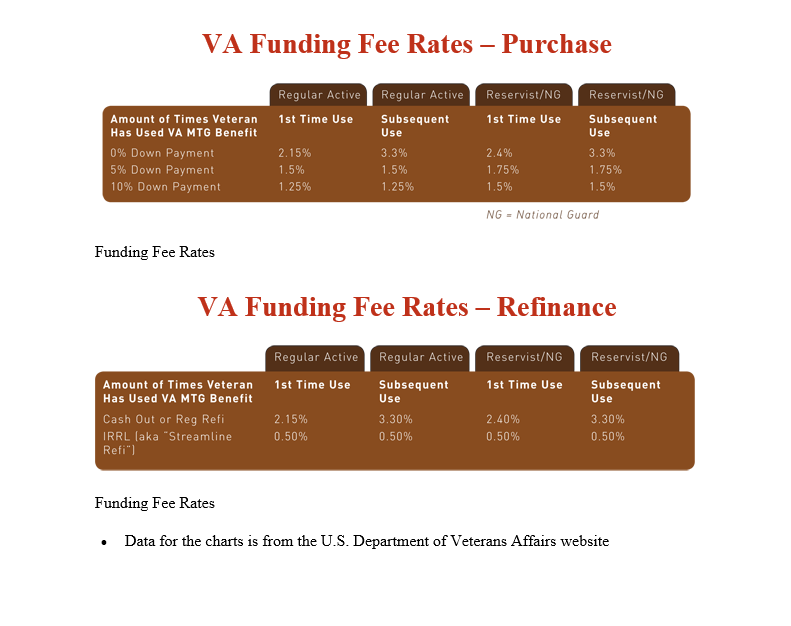 They included the veterans level of service, the type of transaction (purchase or refinance), how many times the veteran has used their VA mortgage benefits, the veteran’s disability status with VA and the down payment the veteran makes on a purchase. When the VA considers a Veteran disabled they are exempt from paying a funding fee.